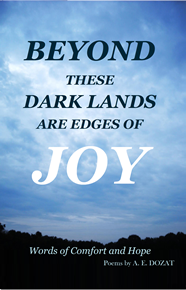 My Poem, To Touch the Pain, A Poem of the Healer, is found on page 11 of my book Beyond These Dark Lands Are Edges of Joy, Words of Comfort and Hope. I wrote this poem for those who seek freedom from the burdens of their inner pain, and to point them to The Lord who is the master physician of hurting hearts. I gave it the title, To Touch the Pain, with some reservation because A person may not want to be reminded of their pain. The subtitle takes us from pain to the Healer. 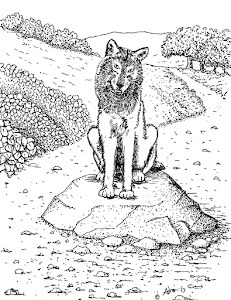 The poem does not have much in the way of illustration but opens with a metaphor for pain. I did not want to belittle the pain anyone feels, but to acknowledge it. The 21st line makes a concluding point and that line is given effect by being six syllables long. This poem is simple. It describes the struggle with pain, then asks that since you are willing to do anything for relief "Why not consider God?" It encourages you to reach out to God because you will find that He is willing to begin your healing. 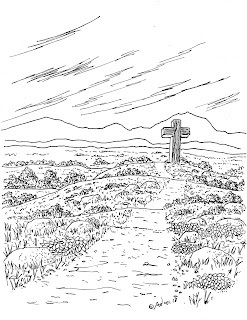 The illustration is a pen drawing of a road that leads across on a rocky desert landscape. 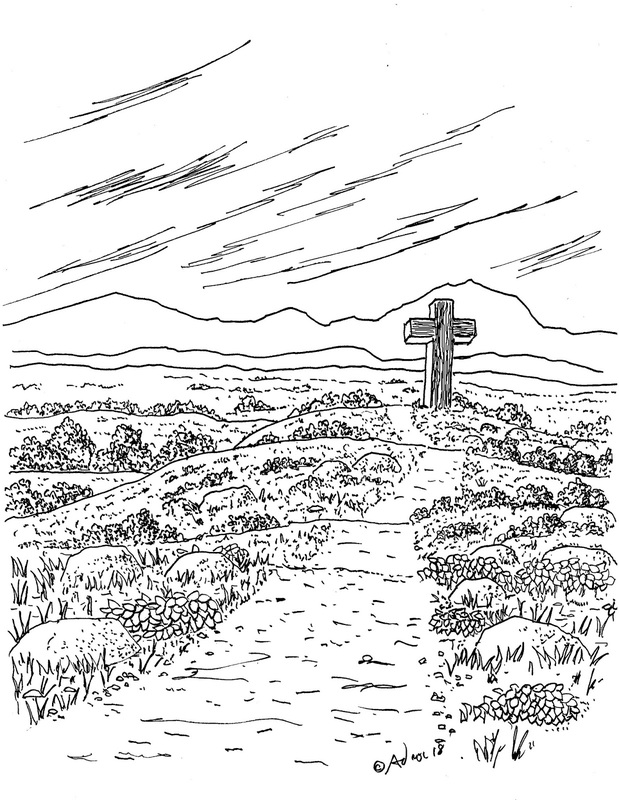 In the middle ground is a cross. This poem, like many in the book, will inspire people to be open to God's healing and working in their lives. I hope that when a person is ready to deal with their pain that they consider the comfort and healing from a source that was rejected before, and look to God. You can read this poem on page 11 of the book. If you would like to read a sample poem choose the link below for the website.